There really is only one story in Scripture. Yes, there are parables and prophecies and warnings and bits of wisdom, but all of them bundled up really only tell a single story. And the one story in Scripture is the story of death and resurrection. 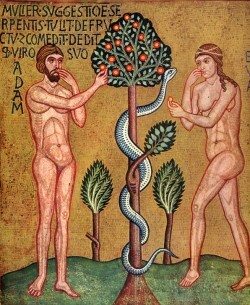 It is the story that began back in Eden when our first parents did what God has asked them kindly not to do. Of course it wasn’t out of meanness that God asked them not to eat of that fruit, but it was out of love – the kind of love that knows what’s best for your children, but also the kind that knows that love is only love if it can be rejected. Not by force, but in freedom, Adam and Eve chose to have it their way, and, as their offspring, their death has become our death. But that is not the way that God created us to be. In fact, the greatest lie that can ever be told is this: that death is natural. Death is the most unnatural thing for us because the God who created us in His own image, the One who gave us His life to be our life, that One is Life itself, and He only gives to us that which He is. Life, you see, is the most natural thing for us. Which is why this story from St. Luke’s gospel is so magnificent. Together, this young man and his mother embody Psalm 69 — the one that speaks of God as: A father to the fatherless and defender of the widows. The young man’s mother was, as St. Luke says, a “widow.” Not only had she lost her husband, but now she’d lost her son. And this double portion of death has only left her feeling the way so many of us feel during our lives: it has left her feeling alone and unloved. But to this funeral in Nain, came the One –- the only One –- who could fully and finally bring healing to her broken life by bringing life to her dead son. Our God, you see, is a God who acts. And He acts for us. He acts by making wrongs right. He acts by bringing life from death. He has compassion. Literally, in Greek, St. Luke says He “poured out His insides” over the death of this man. And then He touched –- Life touched death. And then He spoke. Young man, I say to you, arise; young man, I say to you, be resurrected. And immediately, the young man sat up –- the created responded to the Creator –- and he began to speak. The Word made flesh –- Jesus –- spoke a word to this boy, and in so doing, He gave him a word to speak. Yes, the Word worded the boy and gave him a word to speak. And, most beautiful of all, He gave him back to his mother. But do not be surprised if this story sounds familiar. This story, you see, is really our story too. Christ comes along and meets us where we are, and often at a very young age. He has compassion on us –- He pours Himself out for us. He touches us — He puts His hands on us and blesses us. 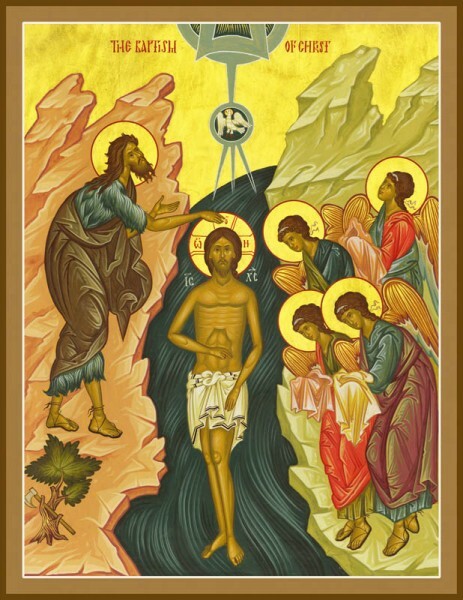 And He speaks: “The servant of God is baptized in the Name of the Father, and of the Son, and of the Holy Spirit.” And it is only when He — the Word — speaks to us that we have anything of our own to say. And then, gift of all gifts, He gives us back to our Mother — He gives us back to our Mother the Church, to live forever as her faithful sons and daughters. It is in this Mystery of Holy Baptism, as St. Paul reminds us every time we witness it, that we are crucified with Christ — that we are put to death with the one who is Life itself. But he does not leave us there. We are buried with him in the depths of the font. But He does not leave us there either. No, just as quickly as we are pulled forth from the water, we are, as Paul says, raised with Christ, that we, too, might walk in newness of life; that we might again live the way He created us to live. And so this place — what happens here, at St. Innocent Church — is the most natural thing in all the world. Because this place — the most important place in all the world — is the place where life wins! And when we live like that boy from Nain, when we live within the loving embrace of our mother, we are most fully alive. And when we are most fully alive, death cannot have its way with us. Because death — real death — is dead. And life — true life — lives. And, in the One who is Life, Christ Himself, we are resurrected and free and whole and healed — never alone and never unloved. Yes, there really is only one story in Scripture. And so there really is only one story for us — the story of death and resurrection. And, by the mercy and loving kindness of Jesus Christ, it is a story that will never end.